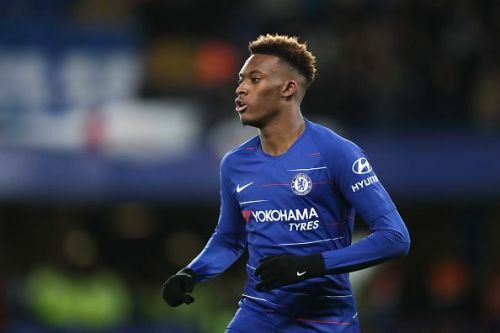 Chelsea's Callum Hudson-Odoi has turned many heads with his performances for the Blues in the limited opportunities that he has been given. Keen to find more playing time, Hudson-Odoi has reportedly submitted a transfer request amidst speculation of a move to Bayern Munich. Ultimately, Chelsea, who were determined to keep the player, successfully prevented a move from happening last month. However, the Englishman has reportedly convinced Bayern's Sporting Director that he is the right fit for the club, which will prompt the Bavarian giants to return for him in the summer. "I guess Hasan [Salihamidzic] is a bit like Uli [Hoeneß]. We also had transfers in the past that didn't work at the first attempt but at the second. And that's what we will work on now."